Copyright 2006-2012, All Rights Reserved. This page/site is NOT affiliated in any way with General Motors Corp., any of it's subsidiaries or with any other commercial entity that may be listed within. This is a non-profit enthusiast site for those who enjoy Chevrolet Chevy II/Novas and is for informational and enjoyment purposes only. The GM, Chevrolet, Chevy II and Nova logos and names are all registered trademarks of General Motors Corp.
All Content & Pictures on or within this site are property of the Vehicle Owner, unless otherwise stated. 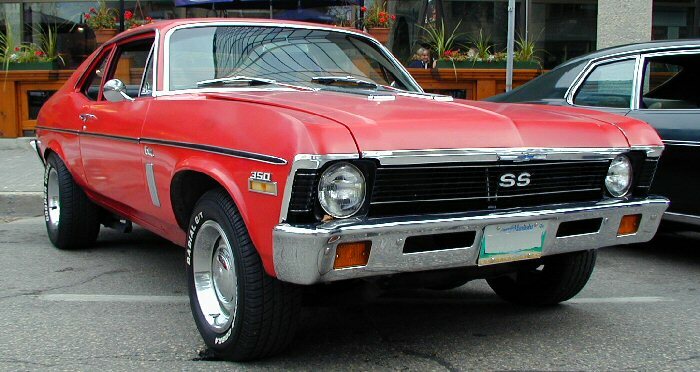 chevynova.ca domain is registered and owned by DAVID MEIER.